In September 2018 – Award Staffing received the top honor in the 2018 American Staffing Association Genius Grand Awards in the New Company Identification Brand Program, Print Recruiting Materials classes, and in the Externally Facing Company Website category. These national awards recognize the best and most innovative communications and marketing campaigns among ASA staffing agency members. A panel of communications and marketing experts selected Award Staffing based on the overall quality of their campaigns’ messaging, design and visual appeal, originality of approach, and outcomes. We recognized there was an opportunity to grow, innovate, tap into new businesses & associates, and reconnect with our existing audiences. It’s about achieving both a definitive internal and external company attitude and belief that we truly help job seekers find their future. For most people, their job or career is closely linked to their identity. Metaphorically, searching for a job is like searching for a piece of you, and until that piece is in place, you might feel unsettled and incomplete. The job search can stir up challenging emotions, fears, and limiting beliefs which can inhibit the ability to find a job that fits their needs, skills, and goals. Through these awards, we are changing our perception from being a “staffing company” to pursuing the role of a “coach” or “cheerleader,” who provide helpful reminders that you are a person of tremendous value despite the challenges you’re currently facing. 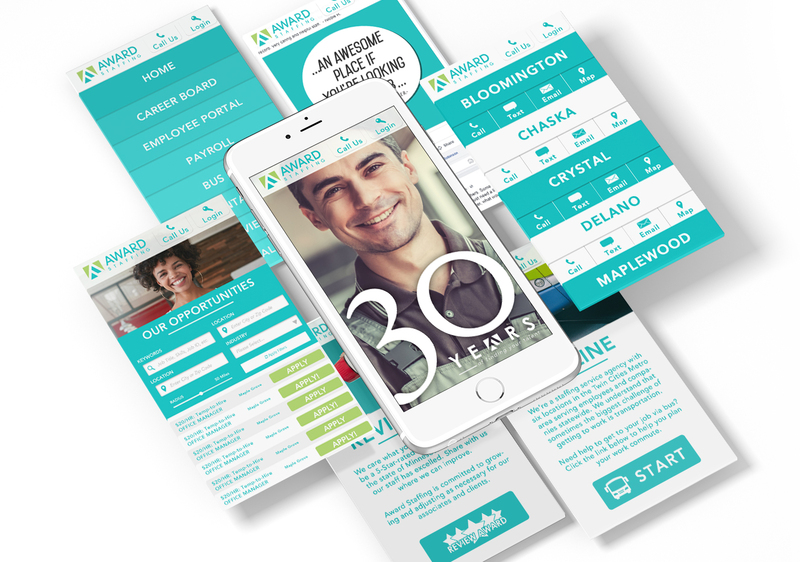 This campaign emphasizes the importance of creating real experiences, impressions, and interactions that shape how our customers and associates feel about Award Staffing and where we rank among our competitors. Creating a belief system that embodies the idea of no matter where you are in your career journey we are all searching for something more intrinsic. This could be manifested in the form of communal support, opportunity growth, or workplace stability. 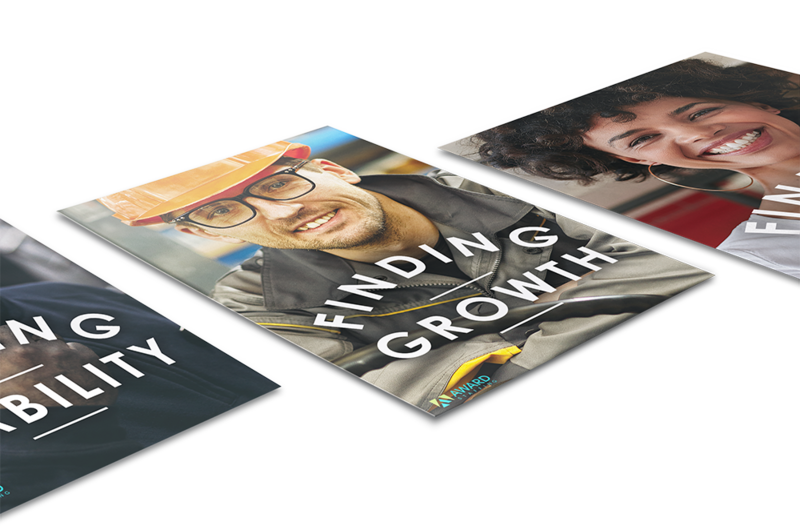 At Award Staffing we wanted to create a new company identification brand program emphasizing that our responsibility as “job finders” is essential to both the clients and the job seekers we support. We believe we must build connections to the communities we serve by helping Find Futures. Want more information about Award Staffing’s recent accomplishments or how we can help your organization find award-winning talent, please fill out the form below.